John Hart's Irrigation, Inc. - FYI: Contractor Compliance/Tracking (Lake Interactive Button) Do you know for certain that you have hired a "Licensed" Contractor? It just takes a few minutes to check. Click on the LAKE COUNTY "Interactive" button to the Above, just to be sure :) Type in the Company Name. For example: John Harts IrrigationGo to : Class of Business and Scroll down to "Irrigation Sprinkler" then the Search Button.If you see a status of "Active" ; then you are working with a Licensed Contractor. Do you know for certain that you have hired a "Licensed" Contractor? It just takes a few minutes to check. Click on the LAKE COUNTY "Interactive" button to the Above, just to be sure :) Type in the Company Name. 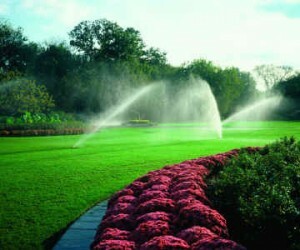 Go to : Class of Business and Scroll down to "Irrigation Sprinkler" then the Search Button. If you see a status of "Active" ; then you are working with a Licensed Contractor. To all local Registered Concrete, Masonary, Marine, Carpentry, Sign, Aluminum Erection, Siding, Stucco, and Irrigation Contractors: Just a reminder that before you renew your license this September, you will be required to provide us with a copy of your certificates of completion of your 14 hours of continuing education. These certificates must be approved by the state and have a ceu approval number on the certificate.After submitting this along with other required paperwork, including an "Active" local license to Lake County the contractor will be issued an "Active Competency Card with an assigned four digit number typically." This card is comfirmation that you are in compliance with Lake County. Any contractor holding a local license with Lake County must complete the continuing education requirements before his or her local license will be renewed. ﻿ If a contractor is on an inactive status with Lake County, the contractor must complete fourteen (14) hours of continuing education before renewing their license on an active status.